For embroidering there is zippered access. 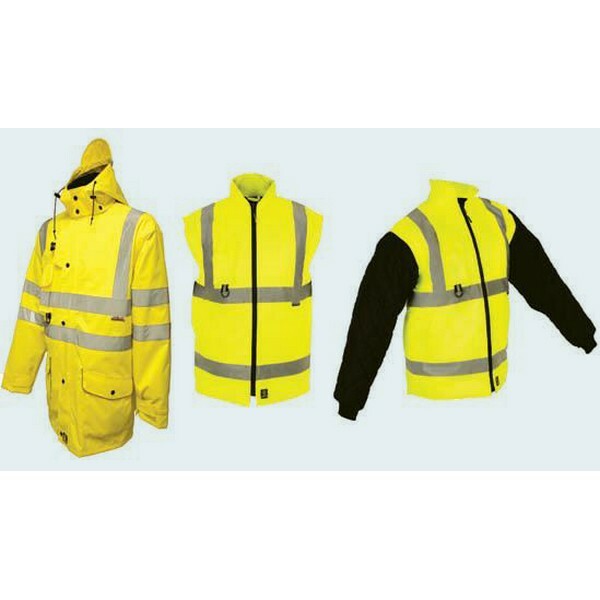 Outer shell is made of class 3, 300-denier PU coated polyester which is breathable. Has a pocket specifically for a cell phone, and can be used as a rain jacket and includes a detachable hood. Also has zippered front and storm flaps as well as cuffs that are velcro. The inner jacket can work as a liner and can be attached to the outer shell of the jacket, there is also a fleece neck and quilted lining. The inner jacket also has a cell phone pocket can be used as a Class 2 jacket. 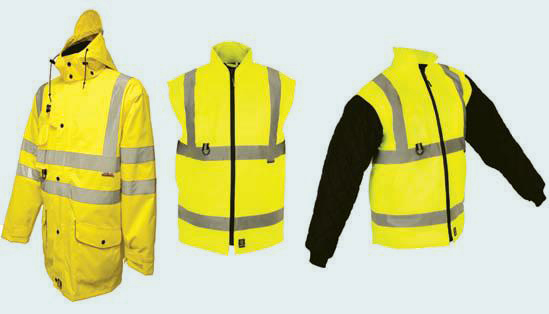 Turn the inner jacket into a class 2 body warmer by removing the sleeves. Turn the inner jacket (which is reversible) into a black quilted jacket or bodywarmer for going to work and back.